Rendez-Vous are ready to explode. The Parisian band have released two stellar EPs, playing tour after tour across the continent. Blackened post-punk scenes, the group's scorched riffs and emphatic vocals recall everyone from early Bauhaus to The Sound, and even elements of Joy Division. 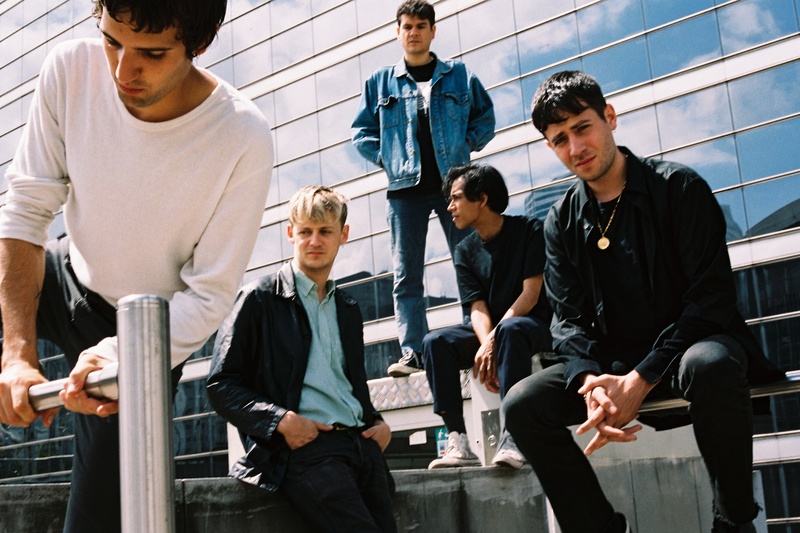 In a similar vein to Iceage, say, the five-piece have an identity of their own, one that becomes instantly clear on debut album 'Superior State'. Out this Friday - October 26th - it's an intense, visceral experience, one that isn't easily dismissed. We're able to share 'Sentimental Animal' and it's a dark hued post-punk burner, the stabbed guitar lines wrapping themselves around the bass line spasms like barbed wire. A suffocating but ultimately invigorating experience, 'Sentimental Animal' comes equipped with a stylish new video. Rendez-Vous will play London's Moth Club on November 24th.